Every Day Is Extra is John Kerry's new memoir. 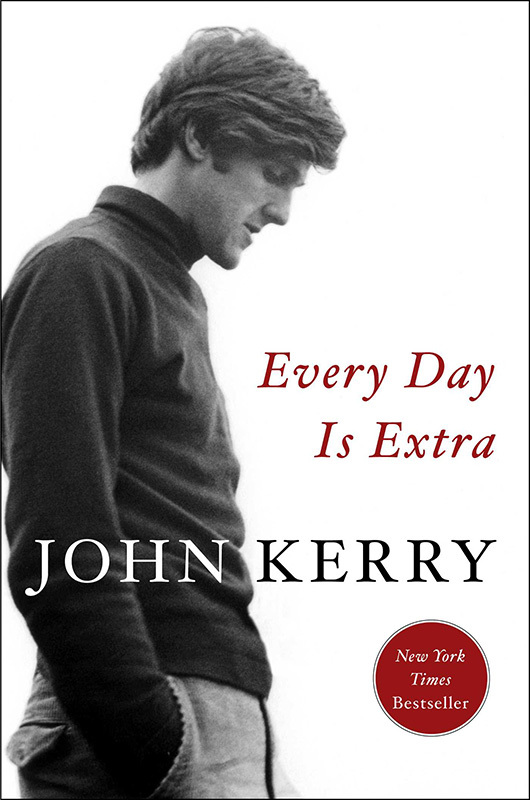 Every Day Is Extra by John Kerry, Simon & Schuster, 2018, 641 pages, $35. By now the standard pattern of political memoirs is depressingly clear: some grandee retires (or is shown the door) and promptly dragoons a ghost writer to turn out an account of the grandee’s life and times that’s anodyne on the political details and subtly, or not so subtly, self-aggrandizing on the personal details. The books themselves are usually little more than gas-pumped trivialities, markers put down in bookstores for decidedly non-literary reasons, often as position papers for future political plans. The one thing such books virtually never are is heartfelt. Heartfelt would be a weakness. Heartfelt would be entirely beside the point. Mr. Kerry came back from that loss of course, and it stands to reason that most readers coming to Every Day Is Extra will focus their attention on that comeback, on the man’s career as Secretary of State, specifically the work he did creating a nuclear treaty with Iran. At the time of those negotiations, 46 U.S. senators sent a public letter to the Iranian government warning that the Obama administration didn’t speak for the United States in the nuclear negotiations and suggesting that any deal would be undone “with the stroke of a pen” as soon as Obama was out of office. Also prophetic, since that’s exactly what happened. Donald Trump withdrew the U.S. from the treaty. Mr. Kerry remains adamant in his book that the deal he brokered was a good one. “Given the situation we faced when I first sat down with Javad Zarif that afternoon in New York — where Iran had mastered the nuclear fuel cycle and was a month or two away from a weapon — the limitations we put in place bought us important time and offered the best chance for peace, even as we maintained security and all our military options. 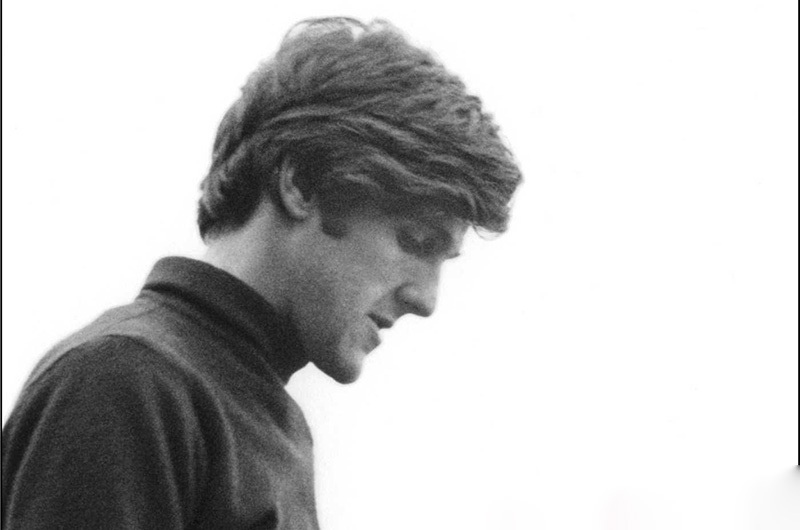 To me, that’s a damn good deal, and it made the United States, Israel, the region and the world safer.” That deal, the crowning achievement of Mr. Kerry’s diplomatic career, has now been torn to shreds for what certainly looks like partisan political reasons. Seen from that and many other perspectives, a reader might easily expect Every Day Is Extra, underneath its polished stories, to be a bitter book, but it’s nothing of the kind. Passionate, yes, and at times angry, but also funny, endearingly awkward, and, occasionally, even wise. It wears its heart on its sleeve like Senator Edward Kennedy’s True Compass, but in its sweep and detail it more resembles former CIA director George Tenet’s At the Center of the Storm. And as for markers of future political plans, well, time will tell.